The tenant might seem like the nicest person on the planet but there is always the fear that they might damage the property. It could be accidental or in some cases even intentional. Either way, landlords often worry that the property will be returned to them in worse condition than it was when the tenant moved in. Will the person living in your property be a problem? Will they throw parties, lie about how many people are living there, and make a mess? Even if they don’t do financial damage, they could still present a problem to the surrounding neighbors, and bring down the value of the neighborhood. 3. Will They Pay The Rent? You can have your tenants sign contracts and interview them ahead of time, but every landlord fears that their tenants might not pay their rent. Having to evict a tenant can be difficult depending on the laws of the state in which your property is located, and doing so because they didn’t pay their rent can complicate the process. While all of these fears are certainly legitimate, most of them can be taken care of well in advance. Getting to know your tenants is key to the process. Asking them for a set of references and even speaking to some of their previous landlords can help you vet them right from the start. Furthermore, taking a few additional steps beyond references and interviews can really go a long ways. Smart landlords will run background and credit checks to get the full picture of potential tenants. By knowing a person’s background, employment history, and their credit score, you will have a good idea of what kind of tenant they will be. Lastly, it is extremely important to get everything in writing. A leasing agreement will outline all of the details and let the tenant know what to expect. This agreement will also provide coverage if any potential legal action needs to be taken in the future. 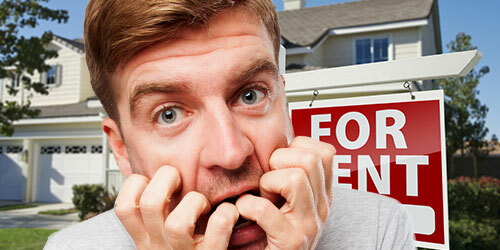 Being a landlord can be a bit of a challenge, but it doesn’t have to be. In fact, by utilizing the services of companies like HomeUnion®, many choose to get the benefits of investing in real estate, without the day to day hassle of being a landlord. By making the investment process hands free, HomeUnion® helps their customers by presenting them with pre-vetted properties that produce a certain minimum ROI, and takes care of all the management of the tenants and property as well. Still considering managing your own investment property, and interested in learning more about vetting tenants? Check out The Definitive Guide to Finding the Perfect Tenant. If instead, you want to learn how to be an investor, not a landlord, and want to find out if our end to end investment service is right for you, we’re available 24/7 at 1-866-732-3220 or info@homeunion.com.